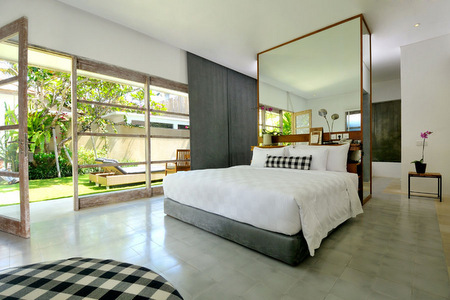 Nestled in the heart of Seminyak, yet just a short walk to the nightlife and fine dining of Seminyak. 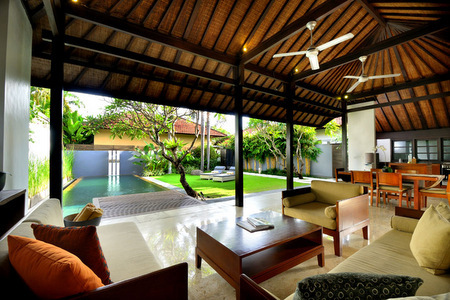 Uma Sapna is a private villa complex inspired by contemporary design, featuring 18 one bedroom and 2 two bedrooms villas. 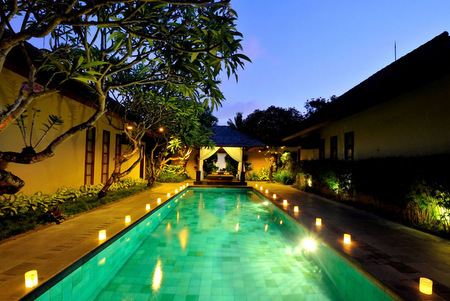 Uma Sapna boasts all the expected comforts and services you will find in a five-star resort. Private dining can be enjoyed in your own villa. 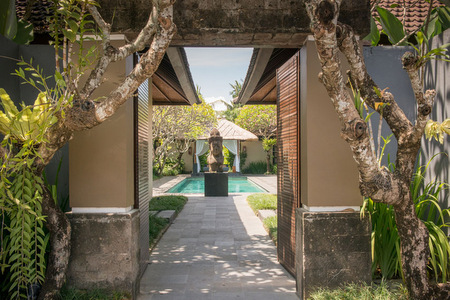 The Uma Sapna Spa offers a luxurious full-service massage and body therapy in any of three spa treatment rooms or in the privacy of your villa. 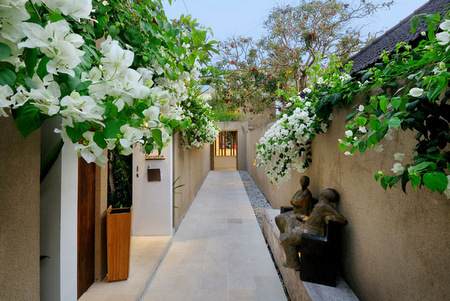 Uma Sapna also proud to house one of the most progressive contemporary art galleries in Bali. Kendra Gallery of Contemporary Art is Indonesia's latest edition to the contemporary art scene and holds regular art exhibitions from young emerging to well established artists from Indonesia and abroad. 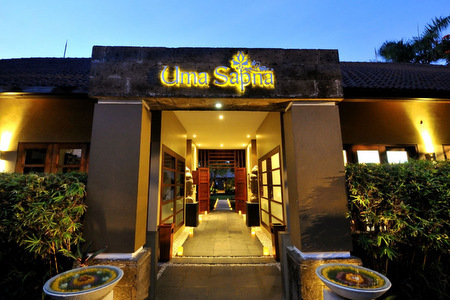 Spa - The Uma Sapna Spa offers massage and body therapy in any of the three spa treatment rooms. Experience the popular massage techniques of Indonesia, Sweden, Hawaii and Thai accupressure points using aromatherapy oils. Choose to have the all your Spa treatments in the privacy of your villa. Experience the same high quality services in more intimate surroundings. 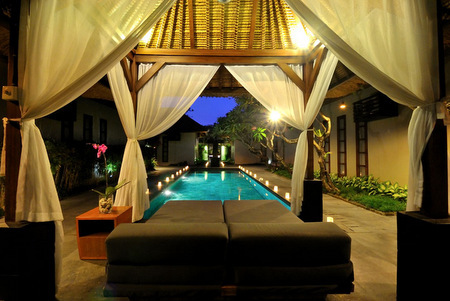 Private Swimming Pool - outdoor living space features a private swimming pool surrounded by lawn and colourful plantation. 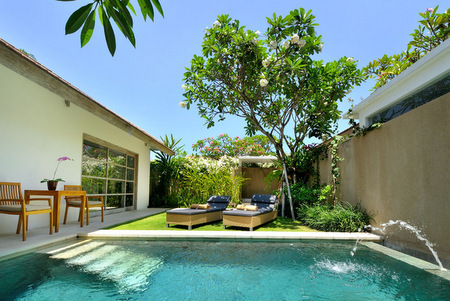 The one-bedroom suite villas and two two-bedroom suite villas are encompassed in their own private, walled compound. Main Pool - Six of the one-bedroom villas cluster around the main pool. 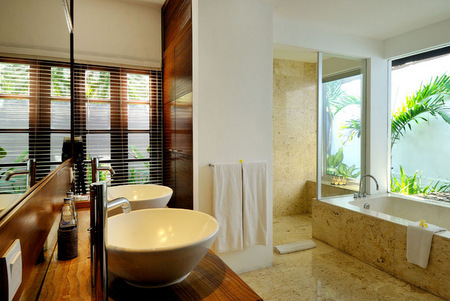 The lush plantation and generous greenery provide a luxuries tropical experience. Rates are inclusive of: Daily breakfast for 2 (two) people in each room. Welcome fruit served in your villa. Occupancy/Children Policy: A maximum of two adults and one child under 10 years is recommended for one bedroom villa.